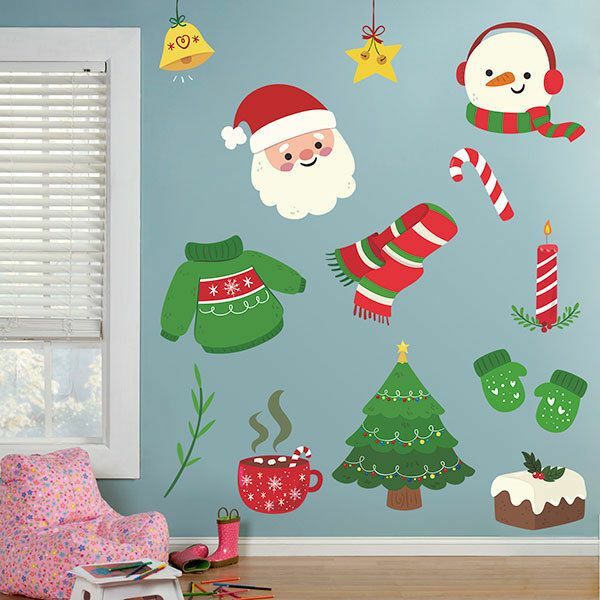 Kids wall sticker Christmas Decoration Kit. 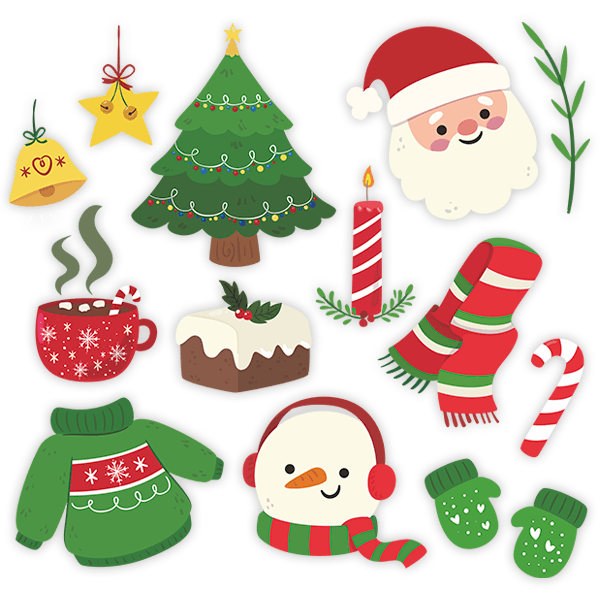 This kit includes several Christmas elements to cut and decorate to your liking. The kit consists of: a star, a bell, a cup of chocolate, a sweater, a Christmas tree, the head of Santa Claus and a snowman among others. 15.75 x 14.96 in. 19.69 x 18.90 in. 23.62 x 22.44 in. 27.56 x 25.98 in. 31.50 x 29.92 in. 35.43 x 33.46 in. 39.37 x 37.40 in. 43.31 x 41.34 in. 47.24 x 44.88 in. 51.18 x 48.82 in. 53.54 x 51.18 in.